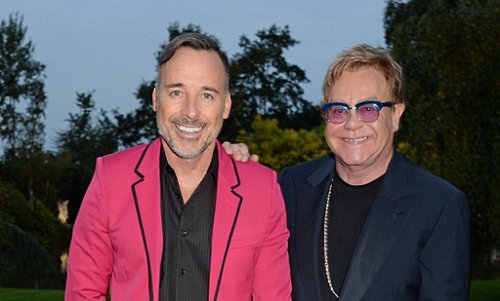 After 27 years living in Britain, David Furnish revealed he was granted British citizenship on Tuesday. Taking to Instagram, the 54-year-old Canadian husband of Elton John shared a sweet snap of himself in the Chelsea Old Town Hall with sons Zachary, six, and Elijah, four, as he said he felt 'very blessed'. The trio were pictured from behind as they gazed at a picture of the Queen. The Toronto native captioned the shot: 'A very emotional morning for me. 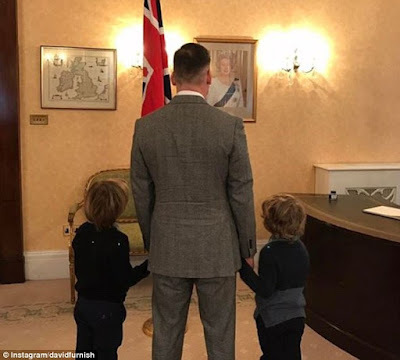 This morning, I was sworn in as a British citizen.